Pella Windows has introduced an integrated residential window screen that appears when the window is open and retracts when closed. The disappearing Integrated Rolscreen, which is stored in the head and sill of the window, removes any visible netting when windows are closed, allowing for clearer, unobstructed views, the company says. 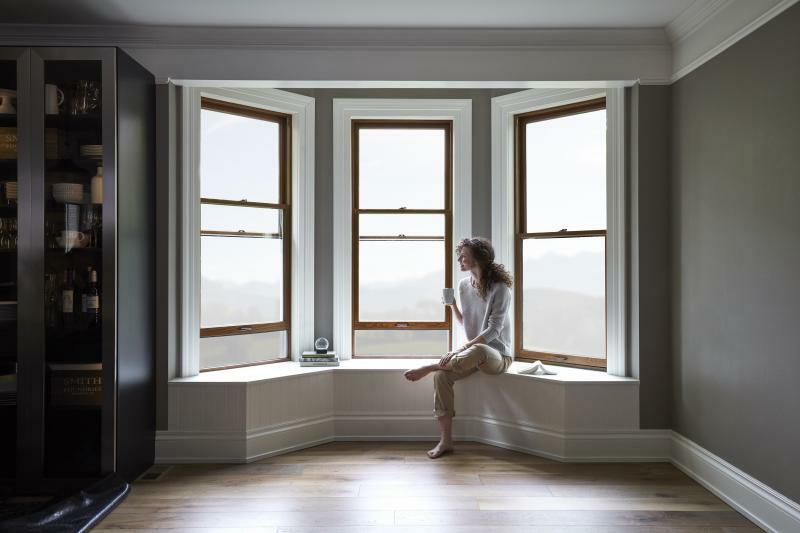 Available initially with the company’s Architect Series Reserve double- and single-hung windows, the screen appears at both the lower and upper sash of double-hung windows, and at the lower sash of single-hung windows. "This product introduction is a game-changer, not only for Pella, but for the entire industry," says Alan Pickett, Pella’s director of architectural business development. "Details matter, and to have hung window screens there when you need them and hidden when you don't creates a completely new solution with functionality, convenience, and flexibility that pros and homeowners will value. “We also know from our experiences and research that the majority of architects are not big fans of screens because they interfere with aesthetics,” Pickett continues. “Now they have a choice that provides the best of both worlds." The integrated Pella InView screens are high-transparency, providing more light and airflow than a conventional screen, the company says. High strength magnets keep the screen in place. In addition, the Integrated Rolscreen eliminates the homeowner’s need to seasonally remove and store screens, cutting back on window maintenance. A self-correcting feature can re-thread the screen material if needed. The Pella Integrated Rolscreen will be available in August 2018.